Resolution Details No team won the first place in 2015. Long shares win if the team Moon Express wins the first place of the Google Lunar XPRIZE. The $30 million Google Lunar XPRIZE will be awarded to the first privately funded teams to build robots that successfully land on the lunar surface, explore the Moon by moving at least 500 meters (~1/3 of a mile), and return high definition video and imagery. The Google Lunar XPRIZE expires whenever all prizes are claimed, or at the end of 2015. 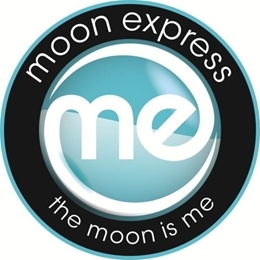 Moon Express is a privately funded lunar transportation and data services company based at the NASA Research Park in Silicon Valley. The company plans to send a series of robotic spacecraft to the Moon for ongoing exploration and commercial development focused on benefits to Earth and has signed a partnership agreement with NASA for the development of its lunar lander system. If Moon Express is not the only winning team of the first place of the Google Lunar XPRIZE or if Moon Express is acquired by another team, long shares will be resolved at m฿0, short shares at m฿10. Any open orders to buy or sell shares are the responsibility of the account holder and any trades made after the winner is announced will not be reverted. Any changes to the result after the market has expired will not be taken into account.